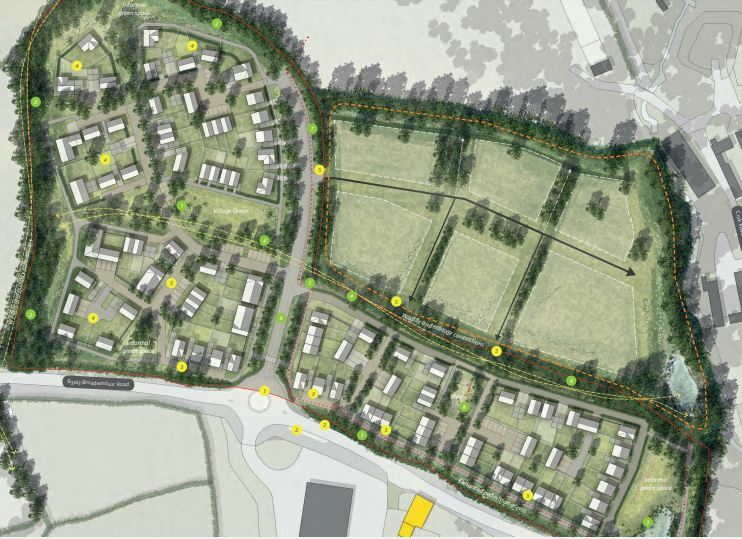 On Thursday 17 January, West Dorset District Council’s Planning Committee approved an outline planning application for up to 100 new homes in Beaminster. The application is for development of land north of Broadwindsor Road that is on space that has been identified for housing in the Local Plan. The applicant provided an illustrative layout which seeks to demonstrate how up to 100 dwellings, together with public open space and roads, could be accommodated on the site. The illustrative plans for the site show a mix of detached and terraced properties, a ‘village green’ and space for a children’s play area. Further details of the layout, appearance, landscaping, and scale will be reserved for future consideration in a reserved matters planning application. Cllr Tim Yarker, West Dorset District Council’s portfolio holder for housing, said: “The approval of more homes in the area is welcome. This development should deliver 35 much-needed affordable homes, which will be eagerly awaited.